Become a Member of Chesley Oaks Today! Register with our eClub to regularly receive special offers and golf promotions. Browse our inventory and book your next round of golf online — quick and easy! Take a look at our membership options to see what fits best for you. Log in to view our specials and print them to take with you to the course. Here at the Chesley Oaks Golf Course in Cullman, Alabama, golfers are met with everything they need for a memorable day on the course. Designed by Steven D. Plumer, ASGCA, Chesley Oaks opened in 1996. The 18-hole course features 6,738 yards of golf from the longest tees, for a par of 71. The course rating is 71.0, and it has a slope rating of 113. The course offers a fully stocked pro shop, top practice facilities, a snack bar, membership opportunities and much, much more. 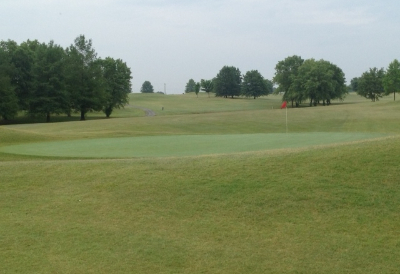 Cary Craig manages this Cullman golf course as the Golf Professional. Please use our website to get more information or to book your next tee time today!